The classic Pearl choker with a modern twist! This gorgeous piece featuring Swarovski Pearls has been hand strung in the traditional way and then sprayed graduating from top to bottom to give it an update! It has a gold vermeil fastening with Gemma Lister's diamond motif which can be worn at the front. 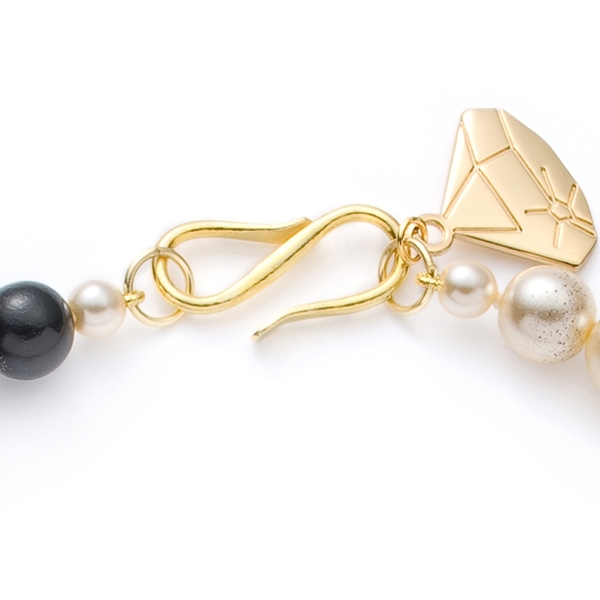 Perfect for day or night, you cant go wrong with pearls! The necklace measures 44cm from end to end and the pearls are 12mm in diameter.